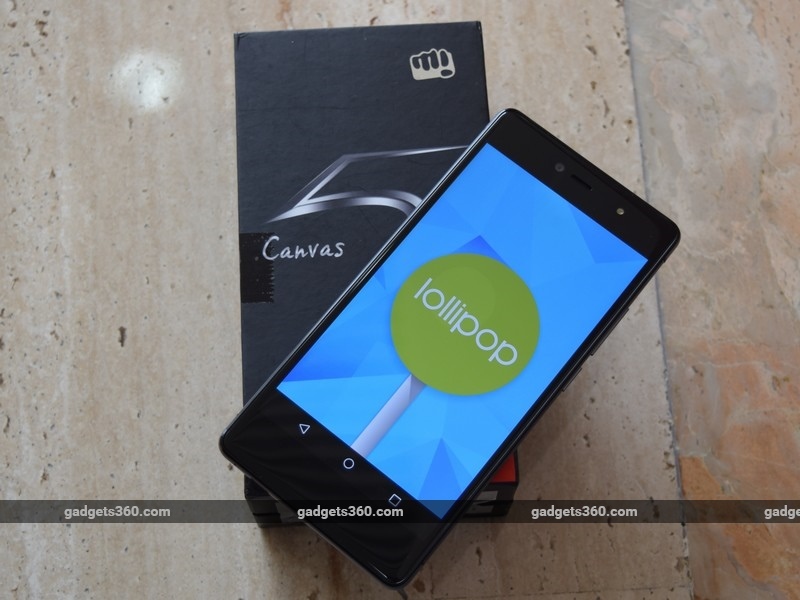 The Canvas 5 is Micromax’s new flagship offering, arriving nearly two years after its predecessor. Priced in the chaotic sub-Rs. 15,000 segment, the Canvas 5 aims to deliver stellar camera performance without costing buyers a whole lot of cash. Let’s see if it can make a strong impression on us. The Micromax Canvas 5 scores some brownie points for its 2.5D curved arc display which saves it from getting lost in a sea of look-alikes. The front is made of Corning Gorilla Glass 3 for protection against scratches. The rest of the phone isn’t too exciting to look at and won’t be turning heads. The metal frame on the sides offers decent grip and the buttons are well within the reach of your thumb when you hold it. The volume rocker feels a bit stiff but the power button has better response. There’s a 3.5mm headphone socket at the top and a Micro-USB port at the bottom. The back is covered by a textured plastic cover which is removable. 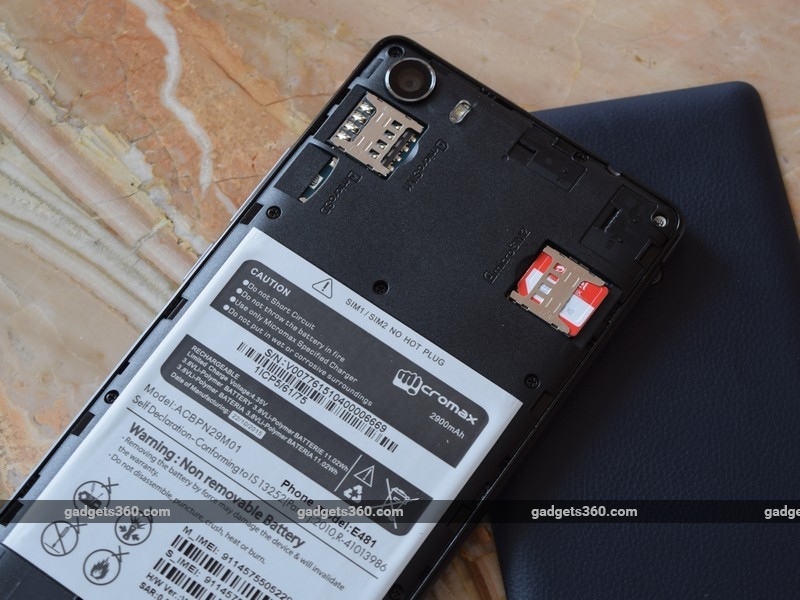 However, this is only to get to the SIM and microSD card slots; the battery is sealed. The cover feels really cheap and it’s easy to damage a fingernail or two trying to snap it on or off. There’s a 13-megapixel primary camera here along with single-LED flash. The display is a 5.2-inch, full-HD IPS panel that performs surprisingly well in all lighting conditions. Colours are vivid and punchy and there’s no noticeable jaggedness around text or icons thanks to the high pixel density. The display’s touch response is also good and everything is legible under most lighting conditions, except direct sunlight. Above the screen, we have a notification LED, a 5-megapixel camera, and an LED flash. In a way, you could call this a selfie-focused phone too. 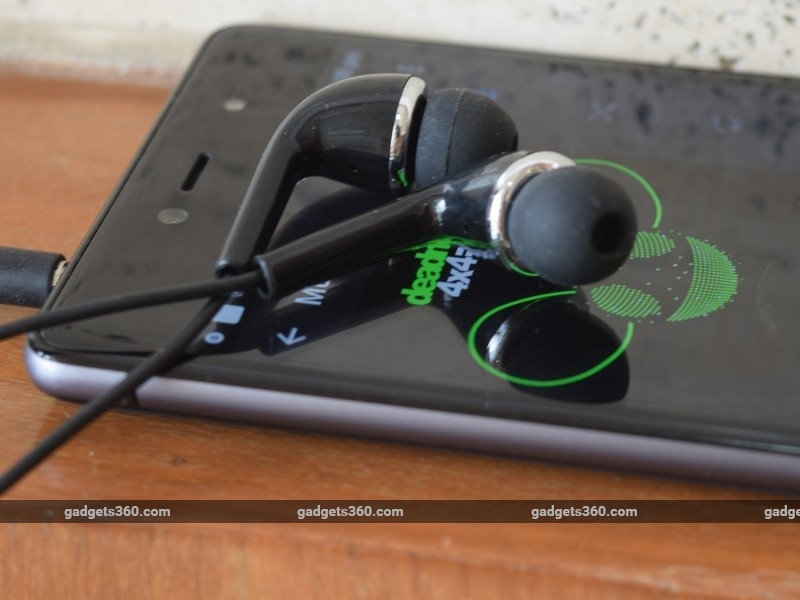 The Micromax Canvas 5 ships with a charger, USB cable, headset, and screen guard. The quality of the supplied accessories is average and they don’t feel too durable. Overall, the phone is well built, apart from the tacky back cover, and is comfortably slim and light at 143g. It has a functional design which looks presentable mostly because of the arc display. 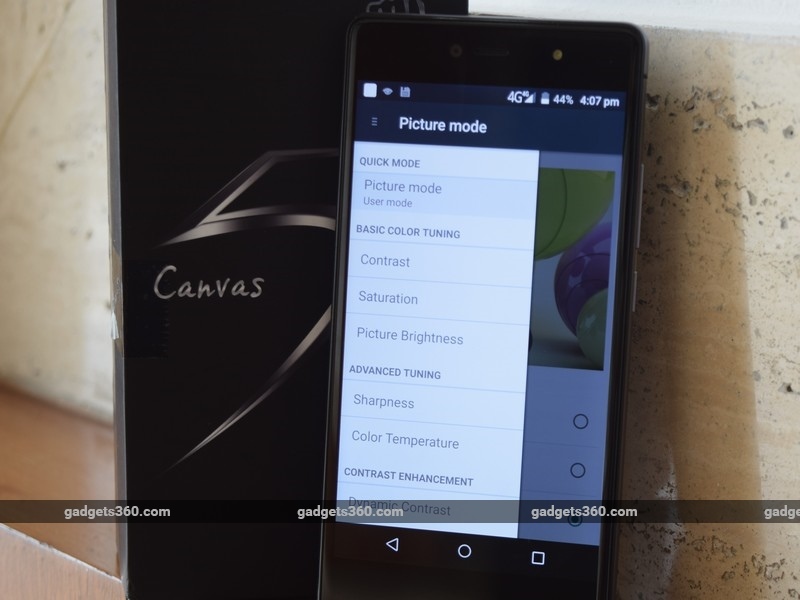 The core specifications of the Canvas 5 are unsurprising. We have an octa-core MediaTek MT6753 SoC running at 1.3GHz; 3GB of RAM; 16GB of onboard storage; and the usual suspects such as Wi-Fi b/g/n and Bluetooth 4.0, FM radio, GPS, and USB OTG. Storage is expandable but only up to 32GB. You get two SIM slots with Dual-LTE support for Indian bands (both FDD-LTE and TDD-LTE). The phone runs Android Lollipop 5.1 which is nearly stock, save for the custom launcher. It’s a single-layered home screen which means there isn’t an app drawer. Micromax has also changed all the stock icons for default apps so if you are used to the stock icons finding what you need, initially, can be a pain. We noticed some of the transition effects for switching between home screens can cause stutter, for example the ‘Roll’ effect. Apart from this, everything works smoothly. As is the norm with several manufacturers, we get a bunch of preinstalled apps that aren’t of much use. There’s a custom app store and M!Live which, sadly, can’t be uninstalled. At least the rest of the preinstalled apps can be removed if needed. 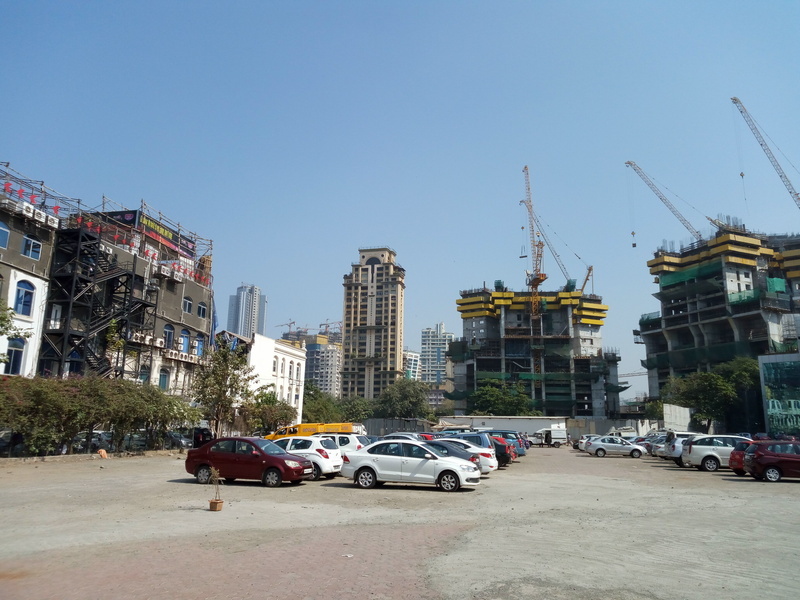 They include Clean Master, Scandid, Quikr, Hike, Chaatz, Citrus Cube, Hotstar, Kindle, Saavn, Snapdeal, Amazon, SwiftKey, and a couple of trial games. Micromax has added ‘Smart awake’ gestures that can be controlled through the Settings app. These let you draw letters on the screen when it’s off in order to perform a function such as directly launching the camera app. There’s also MiraVision, which lets you optimise the display’s colour temperature, sharpness, contrast and saturation. The Canvas 5 performs everyday duties admirably. We found it to be quite capable over the course of our test period. General app performance and multitasking is lag-free. You can even get away with some intensive 3D games such as Dead Trigger 2. The phone gets warm around the Micromax logo but never too hot to handle. We noticed the proximity sensor is a little slow to respond when you take or end a call, but apart from this, call quality itself is good. The phone seemed to take a very long time to charge completely. Using charger with a higher capacity than the one supplied didn’t seem to help the cause either. Coming to some of the benchmarks, we got 32,748 points in AnTuTu and 10fps in GFXbench’s T-Rex test. 3DMark Ice Storm Extreme yielded a similarly average score of 4,383. However, the numbers only tell a part of the story as in the real world; you’ll seldom notice any performance issues. The Canvas 5 easily handles playback of full-HD videos, including our high-bitrate test files. Videos are a joy to watch thanks to the crisp display. The mono rear speaker is decently loud but feels muffled, and sound can get drowned out if there’s ambient noise. The ‘Speaker Enhancer’ mode in the settings app helps boost the volume level a bit but not by much. There’s ‘BesSurround’ and ‘Audio Enhancer’ for earphones but they just make the sound hollower and are best left turned off. The bundled headset feels cheap but does a decent job of isolating ambient noise and has a snug fit. Audio quality is strictly average though so don’t expect too much from them. 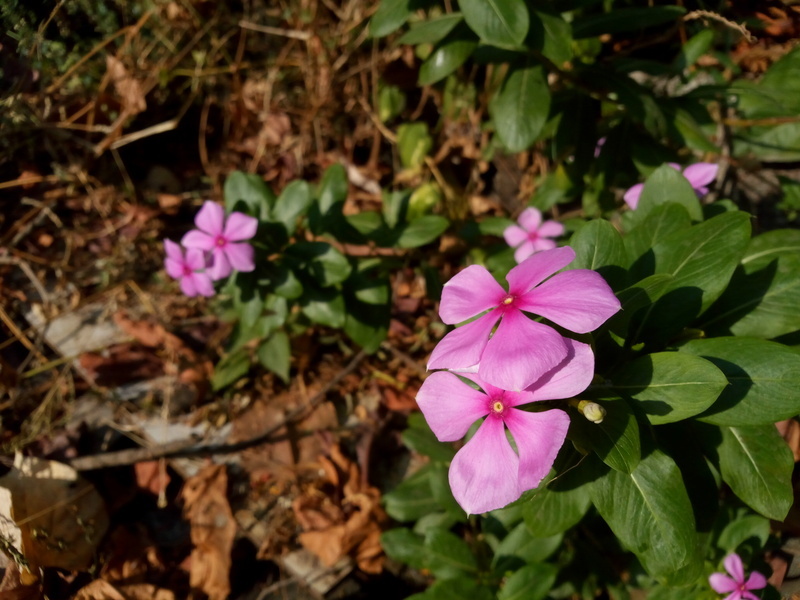 (Click for full-sized images)The 13-megapixel primary shooter surprised us with good performance in daytime macros and landscapes. It’s a little slow to focus which almost always makes burst shots blurry, but if both you and the subject are stationary, you can capture detailed close-ups. Landscapes are not as detailed as we’d like but the quality is not bad at all. Low-light situations are where the camera falters a bit. The focusing system gets very laggy and landscapes are a blurry mess. The flash is good for illuminating nearby objects but this slows down the shooting process even further. (Click for full-sized image)Video recording maxes out at 1080p for the rear camera and the and front 5-megapixel sensor. The quality is good, though a bit shaky due to the lack of any form of video stabilisation. The interface is clean and easy to use. Micromax gives you the basic shooting modes such as Panorama, Face Beauty, HDR, Night, Sports and Dual View and there’s even a Professional mode. 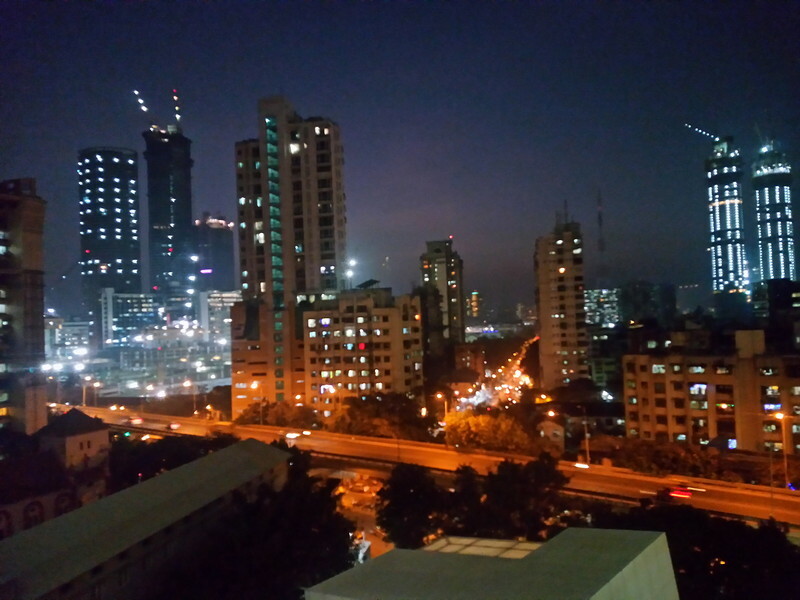 The latter lets you toggle ISO, white balance, sharpness, exposure and colour saturation through a Nokia PureView-esque slide-out carousel. It’s a little tricky to take low-ISO shots in this mode since you can’t play around with the shutter speed, but it’s nice to see budget phones implementing such features. (Click for full-sized image)The front camera has a fixed-focus lens but does a decent job of grabbing selfies, both indoors and outdoors. 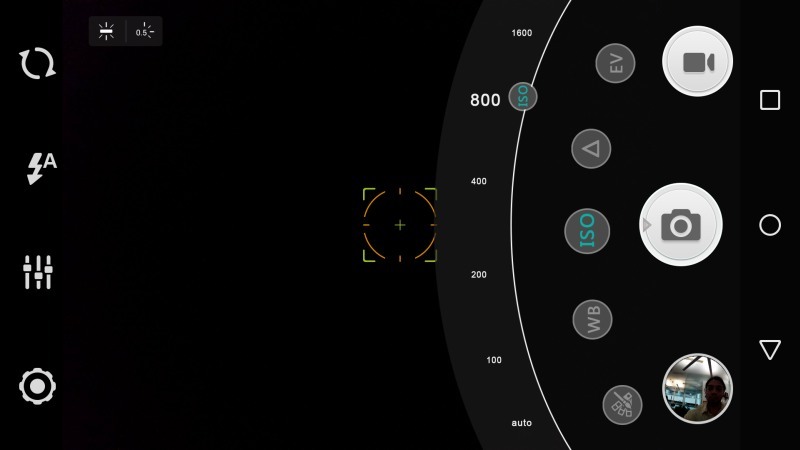 You get a few shooting modes such as Face Beauty; Wide Selfie, which lets you take a mini-panorama, and Dual View. The 2900mAh battery managed 7 hours and 12 minutes in our video loop test, which is just about alright. With real-world usage, we managed to get nearly a day’s worth of usage but only if we used the camera sparingly. We noticed that the battery level drops very quickly when using the camera. 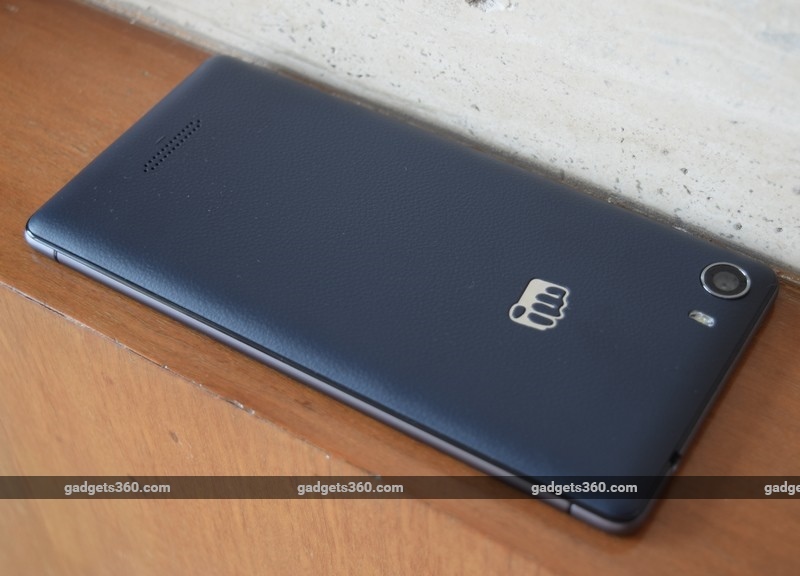 The Micromax Canvas 5 comes in at a price of Rs. 11,999, which makes it decent contender in this price bracket especially since the company has promised to bring out an Android 6.0 update in the future. The phone scores big for its display quality, good build, detailed macros in daylight, and good all-round app performance. On the other hand, we weren’t too fond of the stock launcher, the battery performance and time it took to charge completely, and the low-light camera performance. 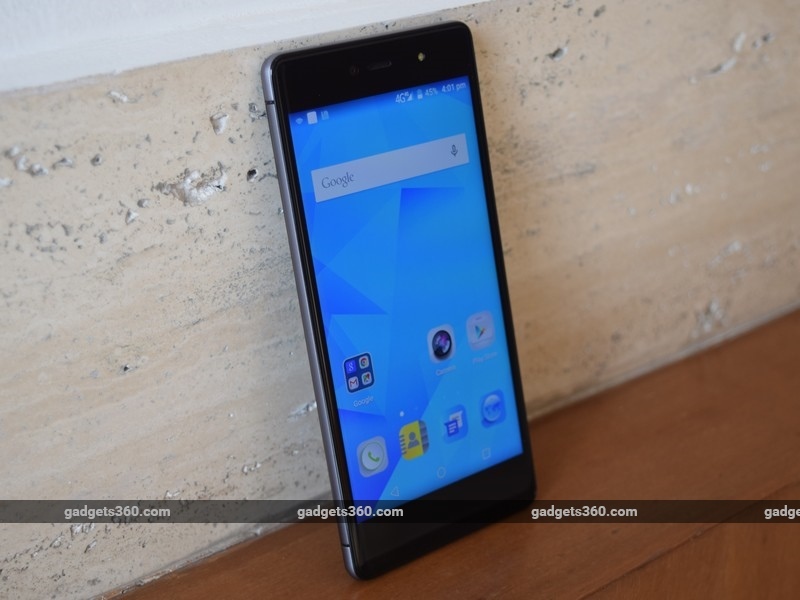 Between this phone and the Xiaomi Mi 4i (Review) – which is now available at the same price – we’d have to give our nod to the latter here as it offers better aesthetics and battery life.